Lucid group successfully supported AbbVie and Genzyme to win two awards at last night’s ceremony in London. 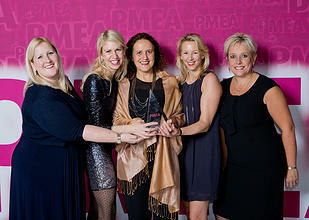 PEER (Psoriasis Expert Exchange FoRum) won the award for Excellence in Physicians/Healthcare Provider Support Programmes. This programme focussed on changing clinical behaviour on a global scale to improve standards of care in the management of psoriatic disease. PEER epitomises Lucid group’s dedication to changing behaviour and improving patient outcomes. Lucid also supported AbbVie to win the highly commended award in this category for its Treat to Target UK (T2TUK) programme. This programme focussed on driving implementation of the T2TUK recommendations across the UK. And they celebrated with Genzyme after supporting them to win the award for launch excellence. Lucid group were also proud to sponsor the award for Excellence in Continuous Development: Education Services for Global or Emerging Markets, which was won by Novo Nordisk for their Changing Diabetes in Children programme.